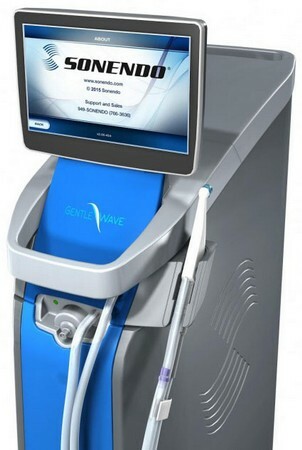 GentleWave® System – A dual system consisting of a multisonic sound waves and continuous irrigation for thorough cleaning and disinfection of the root canal network. Further information of this new technology is available at the GentleWave tab of the menu bar. Cone Beam Computed Tomography (CT scan) - 3D imaging provides information of the canal and root morphology (structure) of the tooth. The images provided can help identify extra canals, lateral canals, and root fractures. This invaluable tool allows Dr. O’Leary to be more comprehensive and accurate in treatment planning and during procedures. 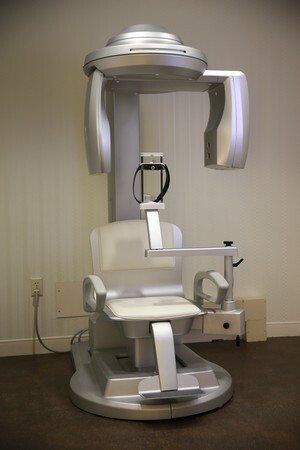 Compared to a medical CT, the cone beam CT delivers a lower radiation dose while at the same time producing higher resolution, more detailed images. Surgical Operating Microscopes - Provide a better field of vision, which aids in locating hard to find canals, anatomical variations and cracks. It is used during all phases of the treatment process for each patient. Digital Radiograph (x-ray) - Minimal radiation exposure and instant radiographic picture of patients’ teeth on computer monitors. Digital x-rays use up to 85% less radiation than traditional film x-ray. Waterline Sterilization – Electrolytic treatment system provides a broad spectrum biocide (germicide) for continuous decontamination of dental unit waterlines. Patients can rest easy knowing their water is clean at all times. Solid Surface Countertops – Extremely non-porous and bacteria resistant thereby making it a naturally more sanitary option than other materials. Online Registration – Once an appointment is made, a unique web ID and password can be sent to patients; allowing them to register or update their information at their convenience from the comfort of their home or office. We want your time with us to be as enjoyable and stress free as possible. Some of our patients even fall asleep and snore! Which, in our business, is music to our ears!! Scent Diffusers – Enjoy a dental office that doesn’t smell like your typical dental agents and cleaners. 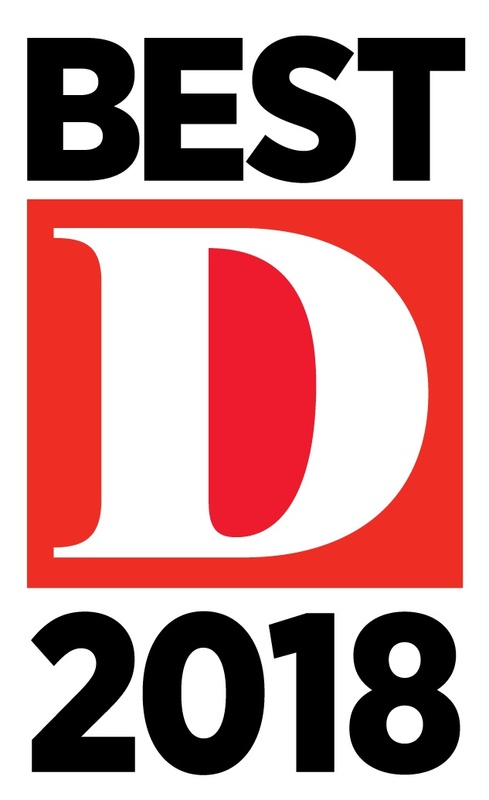 Music – Classic and other soothing tunes play over the main office stereo system. We also have an IPod and headset available for your enjoyment upon request. You are always encouraged to bring your own as well. Feng Shui Design – Our desire is that it never feels “stuffy” at AME. We would like each patient to feel relaxed from start to finish. That’s why we make an effort to create an atmosphere with positive energy and you will often hear laughter emanating from our treatment rooms (it’s o-kay to joke around with us!). Headrest Pillows and Blankets - Microbead neck pillows available for every patient’s comfort. Plush blankets available upon request. Private Consult Room – Allows patients to speak with Dr. O’Leary privately about anything they may not feel comfortable discussing with others present. Private Treatment Room – For the shiest of patients, we offer a private treatment room to help alleviate your anxiety. Nitrous Oxide Gas – “Laughing” gas helps take the nervous edge off for many patients. We are happy to provide this service upon request. Oral Sedation – An additional level of relaxation for the extra nervous patient. When paired with nitrous gas most patients fall asleep during their procedure! Total Sedation – For the extremely nervous, an outside anesthesiologist can be requested.